The Novecento museum in Florence is located in the city center, in Santa Maria Novella Public square in the Spedale delle Leopoldine, and collects galleries dedicated to the works of Italian art of the twentieth century. Over 300 works exhibited in 15 environments, subdivided by year of creation and by type. A journey that will guide the visitor through paintings, sculptures, installations and works of art of the most popular and highly regarded artists of the last century. The journey begins with the works of the early 1900s up to the last decades of the millennium. In addition to the permanent collection, temporary exhibitions are organized within the Novecento museum in Florence, enriching its historical and artistic value. The 900 museum is divided into several floors: on the ground floor, we can find the ticket office, the temporary exhibitions, the bookshop, the relaxing area and the wardrobe. On the mezzanine floor there are the Study Room and the Cabinet, drawings and prints where it is possible to consult documents and drawings by reservation only. 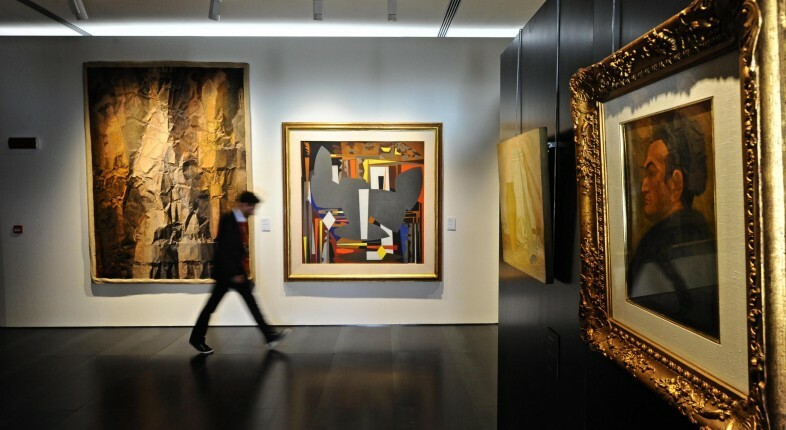 The museum itinerary begins on the first floor; the 7 environments collect testimonies of Italian art of the second half of the twentieth century. On the second floor it will be on sale there it is possible to admire the fashion and the Maggio Musicale Fiorentino. Finally, on the top floor, you will find a section dedicated to the idea of ? ?Florence in cinema; in this environment, conferences and educational meetings are also organized. The last entry is one hour before closing.